Knowledge of London was first launched on Saint George's day, (the Patron Saint of England) on the 23rd of April 2004, which also happens to be Shakespeare's accepted birthday. From its earliest conception, this website has focused on the hitherto undiscovered gems of hidden London. Our online visitors, from far and wide, are telling us that through our determination of keeping away from the tourist hotspots, we have gained a niche in the market through hard work and a dedicated passion. Like London, this website will never be fully completed. With the passing of time, we will search out for more unknown classics to whet your appetites, tempting you to revisit Knowledge of London time and time again, with more hidden treasures for you to view in the future. I think your website is a stunning achievement and I enjoyed every minute I spent looking at it. I stumbled upon it whilst looking for information about the little boy sitting on the pannier on a plaque up near St Paul’s, and I learned So much. I ended up reading the whole thing and finding all sorts of historic sites I hadn’t even been aware of. I’m a big fan of Peter Ackroyd’s books about London, and even so, I learned an awful lot from your site that he hadn’t made me aware of. As a retired London Police Officer, I found your site one of the most interesting that I have ever come across and have passed it onto my friends. I have just read with great interest the information about the rooftop statues in London and enjoyed the accompanying photographs. Thanks for the trip today. Looked at your site and was genuinely impressed with the design and layout. I found it very informative and easy to use which is a blessing as many sites are too complicated. I'm interested in the history of London. Because I did not know about London Stone, London Wall, Queen Boudicia. When I went to the school in Japan, I had not studied that kind of information about London. Hi there, I like your website. I like that it doesn't just do St Paul's Cathedral, Palace of Westminster, the Abbey, etc, and it pays attention to details that would otherwise be missed. The rooftop statues article is really excellent. A 'must look at' site for anyone planning a trip to London. Those are pretty interesting. Little things you don't know. So much hidden history that hasn't really received its rightful place. Thankful to people that do this research so we can know these things. As a Yorkshire lass with a penchant for going off the beaten track in London, I have really enjoyed looking at your site. Please, please keep updating it! In fact, this is a very good site to browse, as it is packed with information on London. 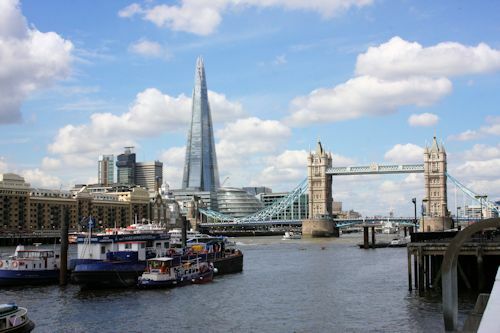 Great little collection of interesting London landmarks and features. Although these type places would not be on a regular tour of London, they are exactly the kinds of places and things that would interest me if I ever had the good fortune to visit this wonderful old city! Thank goodness for virtual travel--and web-sites like yours. I just wanted to say thanks for creating such an interesting sight. I have recently taken to walking to work and I always think you miss so much when you don't look up. I have seen some great statues and oddities on many buildings and your website gave me a bit of interesting information about what I'd seen. London, not just the usual tourist haunts. Postman's Park; Cloth Fair & More. Enjoy. Historical remains from bygone ages tucked away and overlooked even by London residents. Nice bits of history associated with each item. This is a very good site to browse, as it is packed with information on London. Shows that London is much more than the usual tourist sites. Just get off the tube or bus and walk in any direction and you'll be surprised what you will find. Following the river, canals or your nose from one park to another are great adventures. Believe me, if you're like me, you will really lose track of time here. Contains lots of unusual information that not even some Londoners would know. There are some really interesting things in there. I have kept the site in my favourites so I can look them up one at a time. I like the look of this site, don't live near London, but visit for work from time to time; I can see this being a useful thing to look at before I go next time. Thanks again for everything especially your very interesting & informative site. You're a star,..pity there aren't more people like you about. Just wanted to say thank you for your amazing site. As a teacher and historian and former resident of London who thought I knew it all, I have learned so much!!! I am looking forward to one day returning to London, to explore all the lovely places I've read about on your site and haven't seen anywhere else!!! Thank you on such a wonderfully designed website. I spent hours on here reading all about the things I never knew about London and shall be spending a while in London myself now looking for all the things I have just read about. Well done on such a great site and I shall be sending the link to many people. I would just like to compliment you on your site. I was born in 1948 in Shepherdess Place (by the Eagle pub, City Road) and during all my early teen years I used to get a 'Red Rover' and travel around London by bus and on foot and see things by following my nose. your site reminds me very much of those days......Keep up the good work so our friends from around the world can see the 'real' London and not just the obvious sites. Thank you for your fascinating site. Got into by accident, What luck!! What a host of information. London is a wonderful city and I am so proud to get one of her citizens. I will open my eyes and look around more now. Just found your website - dazzling collection of photos of old London pubs and fascinating descriptions. Congrats! Just to say thank you very much for such an interesting and entertaining site!! 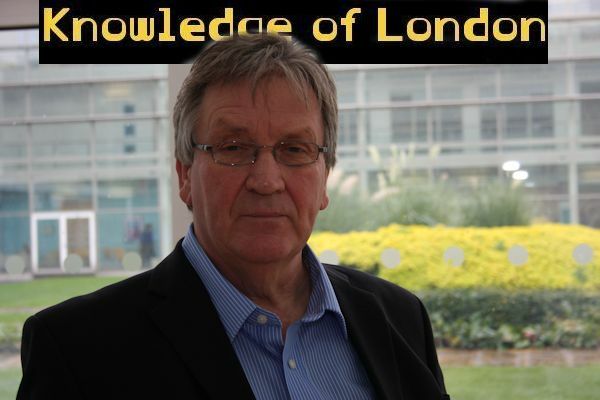 Knowledge of London, you have made a superb contribution to the web, thanks. Just a short note to say thanks for all your hard work in getting this interesting info and photos together, really great and very informative.